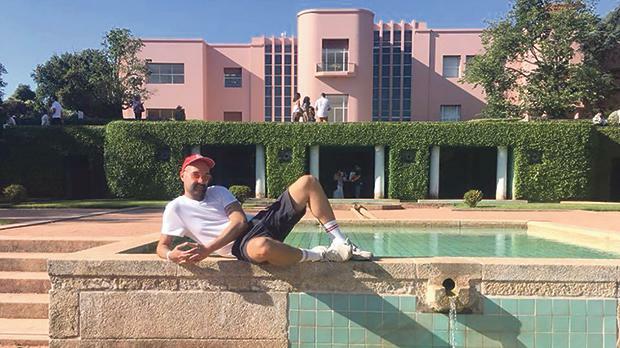 Described as a mini-DIY festival, Bewyld is set to bring a quirky line-up showcasing lo-fi and dancey musical acts to Malta. Adam Brimmer interviews Shawn James, the man behind the event. This is the tagline that welcomes visitors to the Facebook page of Be-Wild Events, a tagline that Shawn James, the man behind the concept, certainly lives up to. I’m speaking to Shawn in order to find out more about Bewyld, an upcoming mini-festival that is set to bring together a number of artists from the international and local alternative scene, with a special focus on what he describes as “lo-fi, quirky, dancey, musical acts”. And he certainly is enthusiastic about it, explaining that the festival offers “a new kind of platform, where artists and audiences meet in a friendly, collaborative and creative space”. Shawn adds that the event “does away with the conventional notion of supporting or opening acts; it’s an informal space where established and upcoming musicians and their audiences can connect while enjoying an eclectic platter of musical styles”. Included on the line-up are local darlings Bark Bark Disco; underground London producer Capitol K, whose latest offering Goatherder provided one of the most mesmerising and surreal experiences, played in a cave in Malta; synth lover Hearts Beating In Time; the soulful grooves of Nicky Slim; the indefatigable Sunta; indie darling The Suburbanite, and queen of ethereal Yews, as well as 1-800 Girls; Princess Wonderful; Roxmangatt; Childsplay; Good Posture; Incotoyable; Ménage à Troi; My Panda Shall Fly; and Nabihah Iqbal. The festival is taking place under the umbrella of Be-Wild Events. When was the latter founded and what was the idea behind it? The idea was born in the living room/bedroom of a one-bed flat situated on Stubbenkammerstrasse, Berlin, that I was renting from a friend during the summer of 2016. What is the one common element that ties in all Be-Wild events? What makes the upcoming festival Bewyld different from other festivals? Everything, basically. If people really want to experience something different from all the other festivals on the island, then I really suggest that they don’t miss out on this. And if you need more information, I’ll just say that it’s all about the line-up, the music, the idea, the setting, the colours, the palm trees, the pink seashell… Oh yes, and there’s also a dolphin! What are some of your favourite international festivals? Well, that’s the thing, I’m not into festivals too much. I prefer smaller, intimate concerts, or mini-festivals. I’m done with seeing the same big-name headliners, the same old line-ups at the same festivals over and over. This, unfortunately, is another common trait that is done here locally. I really seek something fresh and different. I want to discover new artists and new venues, and for that I don’t feel that I need to be blinded with fancy lights and big stages. How did you shortlist the artists? I had a very definite idea of which artists I wanted to invite, from the very start. Of course, no event ever goes 100 per cent according to plan – some of the names I had in mind were already booked to perform elsewhere. Some other artists’ fees were also too high, making them an unviable choice. I discovered some artists through Facebook and friends’ suggestions, while some other names on the line-up I knew personally. At the end, I had to keep in mind the budget that I was working with and, after a good number of exchanged e-mails, and phone calls I managed to finalise a great group of artists. What is the biggest challenge in bringing together an event of this nature? Everything is a challenge – starting with picking the right venue to finalising the artists that you want to include in the line-up. Then there’s picking the dates, marketing… it’s a whole process. It’s not the sort of event that I would suggest anyone tries to organise alone, but I get a kick out of it and plan on continuing organising this sort of event for as long as I can. Of course, the support of sponsors, and a good group of people who believe in the concept, is also invaluable. Which particular artist or act are you personally looking forward to? All of them, because I really believe that each one of them is a special artist in their own unique way. The Maltese attitude tends to be to arrive late at events, but being a festival, this starts early in the afternoon. Why should readers make sure they get there nice and early? Well, all those who show up before sunset only pay a €10 entry ticket to see about eight artists. It’s a steal! Throughout the afternoon there will also be special offers, so it is worth everyone’s while to show up early. What’s next for Be-Wild Events? 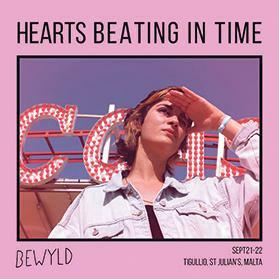 Bewyld takes place on September 21 and 22 at Tigullio, St Julian’s. Tickets are available at the door.